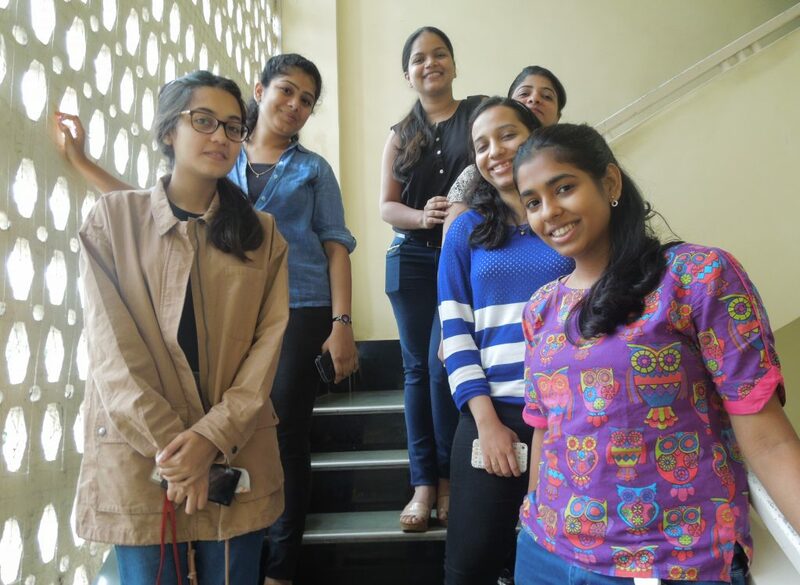 About the Author: KJ Pai(extreme left), a graduate of University of Mumbai, returned to India to successfully complete an internship at Johnson & Johnson Medical India Ltd. (JJMI). Right after my graduation, I flew to the US to pursue my master’s degree in biomedical engineering. As a part of the norm there, every summer, students tend to seek internships in order to enhance their skill set and get some hands-on industrial training. After debating between taking up a summer course or undergoing an internship, I decided to embark on an internship hunt by late November and was aiming for an internship in the quality compliance field. My chances were meek but I was hoping for a shot in the dark. I explored portals like College Career Fair, LinkedIn, Internshala, and Beyond, apart from sending my CV to all my seniors and relatives. My homesickness made me apply to Indian companies and several US masters and Indian company collaborative programs, as well. By February, I was on the verge of desperation and despair. I had landed up a few interview calls in the USA, but as I was a fresher, the companies ended up going for students with work experience. Finally, around mid-April, after a Skype interview with JJMI’s Strategic Regulatory Affairs and Quality Control (SRAQC) Department, I ended up with a 10-week internship program in Mumbai. I returned home for almost three months with an internship in my field of interest (medical devices). The only flip-side was that there was no stipend involved, which was understandable given that I was a fresher. Through my internship, I was exposed to actual procedures followed in the industry for Field Action execution. I understood the regulations, quality standards, and guidelines followed by the US, India, and EU. We prepared the SOP (standard operating procedure) for a mock recall. This involved finalizing the recalled product, the distributor list (so as to cover the longest and shortest distribution channels), the execution strategy, and the timeline. I also got the opportunity to handle an ongoing recall (Physiomesh) and the associated documentation. Apart from this, I documented the Field Action closure report and revised the Field Action Strategy form. The review of the existing files helped me in finding the gaps and enabled me to revise the existing procedures and forms. Through the course of my internship, I garnered key skills like teamwork, effective communication, and timeliness. The work culture at JJMI was professional but also relaxed and wonderful. The seniors were always available when it came to solving doubts or explaining the procedures. There were enough breaks and facilities to keep us fresh and on our toes throughout the day. Each day brought in something new and worthwhile. With this internship, I found more than what I was seeking for and am extremely grateful to JJMI for this once in a lifetime opportunity. Editor’s Note – Intrigued by the world of biosciences? Check out these great biotech internships.